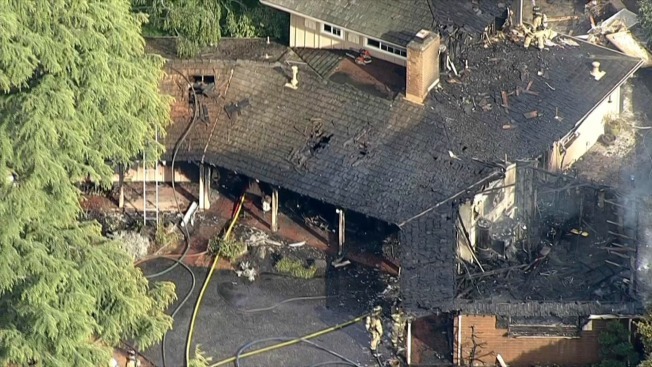 A house in Los Altos on Saturday suffered hundreds of thousands of dollars in damage after a two-alarm fire ripped through the single-family home, according to fire officials. The blaze, which ignited just before 4:15 p.m. at 615 Casita Way, did not injure the one resident who was inside at the time, but it did cause roughly $300,000 to $400,000 in damage to the garage and other parts of the home, according to fire officials. The cause of the fire is not known at this time, according to fire officials. The blaze, which likely started in the garage, does not appear to be suspicious. Neighboring homes were briefly in danger of also catching fire, but fire crews were able to corral the flames.